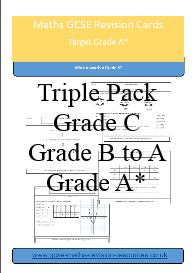 This is a triple pack containing the Grade C, Grade B to A and the Grade A Star Packs. Save by buying three packs together. This pack contains nearly 200 revision cards.